At some point in your life there will come a point where you want a road legal buggy of some sort. I happen to be one of the lucky people who actually went out and got myself a road buggy, and I've had his buggy for about 10 years now. After driving my buggy for the first time I soon realised I was going to be addicted, and I knew that there will be a lot of like-minded people around the world that are as obsessed with owning a buggy as me. Not only, that I later realised that there are a lot of people who just like the idea of owning a buggy and cruising around the streets and heading down to the coast in the summer. Yes, I do all these things, and I enjoy every second of owning a road legal buggy, but the trouble is that the weather in the UK is very (how can I put this) wet. I can almost guarantee that any time I plan on getting the buggy out for the weekend at some point or another the heavens will open, and I will get drenched. Some say that this is all part of the fun but to be honest I don't see it. So that is actually the only downside of owning a road legal buggy in the UK is that the weather conditions are not always ideal or in fact, anywhere near perfect. However, when the sun does come out, it is one of the most fantastic experiences that I can ever do. There is nothing that beats having the wind in your hair (or in my case, polishing my head) and blasting through the twisty winding coast roads that are all around the South coast and south-west coast of England. After 10 years of owning my road legal buggy I've finally (touch wood) got my reliability all sorted, and so I'm very confident in taking the buggy out on the long weekends all over the UK. 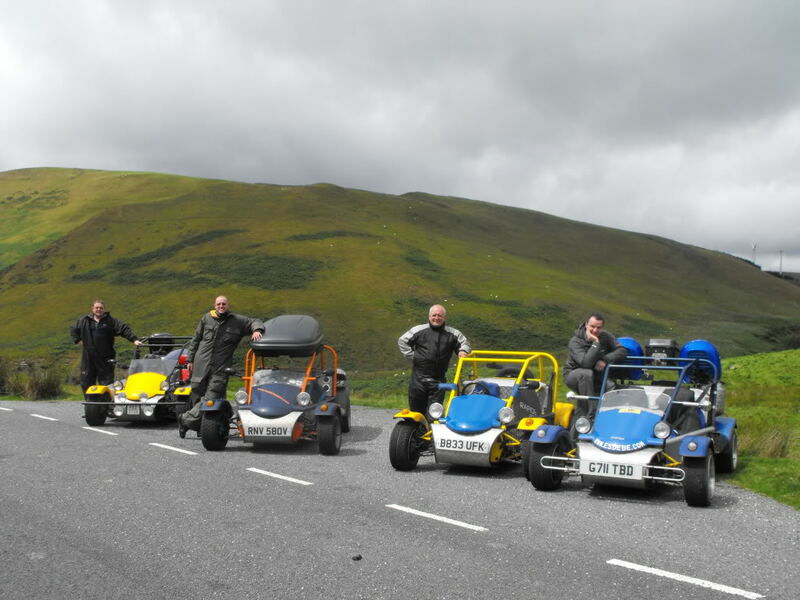 In fact, every year myself and four other people take their buggies, and we blast about the reservoirs and the lanes in Wales for the weekend. 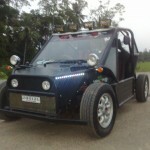 This gives us some of the most exciting and thrilling driving as although you are not breaking land speed records you are still pushing your road legal buggy to the limits through switchback roads and through difficult cornering sections around reservoirs and generally very beautiful countryside. Normally, the weekend doesn't go without at least a couple of breakdowns and an accident of some sort. It was in 2011 that I managed to stick my buggy through a hedge and then an hour later through another hedge all at ridiculously low speeds, but the road surface was either covered in diesel or just shale. As you can tell I love owning and driving my Freestyle road legal buggy, and I know that there are many people around the UK that are doing exactly the same. I know that a lot of people take their buggies and use them off-road and in the green lanes I used to do this, but I got fed up with having to power wash it and oil everything after every session, so I decided to wimp out a little and turn my road buggy into a pure road legal tarmac hugging beast. 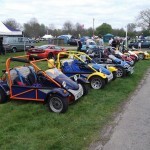 At MuddyBuggies we have an active road buggy forum that has been around for coming up to 10 years, and although we are not the busiest forums, we are one of the nicest around, and we have found that although a few members no longer own a road legal buggy. They still chat on the forum, and also they come along to the shows we visit every year. 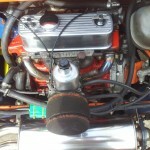 This just goes to show that we are a nice bunch of chaps, and that we are complete petrol heads. 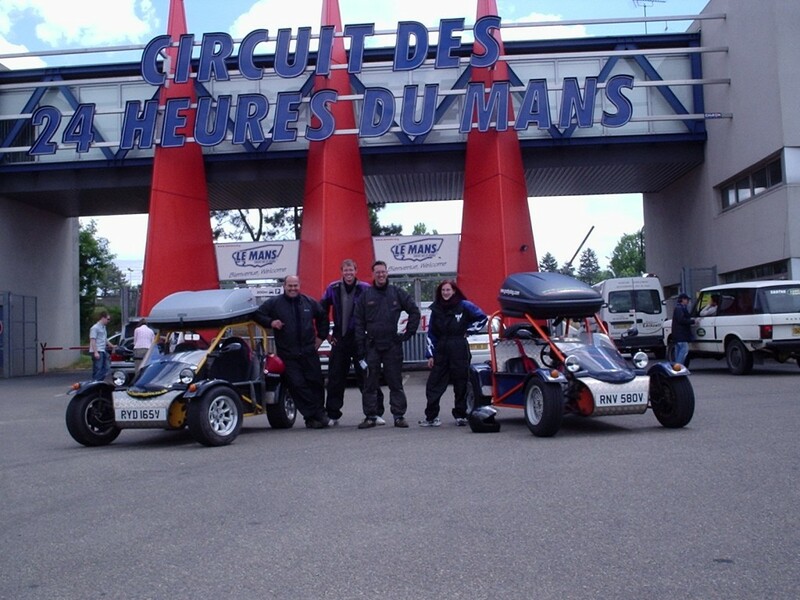 I hope you've enjoyed reading a little about my experiences of owning a road legal buggy in the UK, and if you have any questions then you can e-mail me or head over to our forum where you will properly get a much better varied answer to your questions.